If you are transitioning email contacts from a UCI Health’s email account to a personal account, this guide can assist you through your transition. Click on a subject guide below for instructions. You can only export contacts you have saved in your personal contacts list. UCI Health has set up a global address list where all students, staff, and faculty reside in. This is where most email addresses are being pulled from. 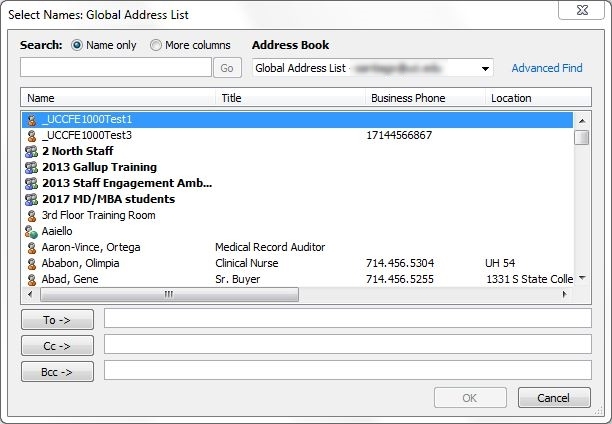 You cannot export contacts from the global address list. You must save a global address contact from the list to your personal list. 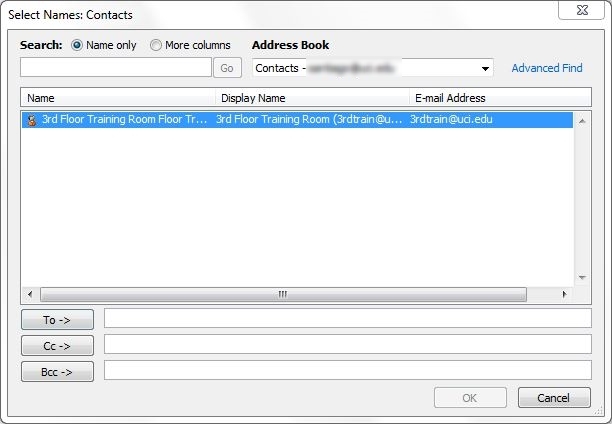 Right-click on the contact you wish to save and select "Add to Contacts"
Select your contacts list, if it is not selected already. 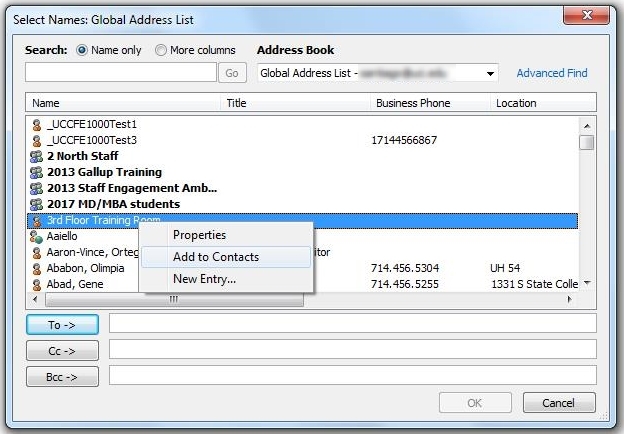 Once all your contacts are selected, right-click on any of the selected contacts to display the options menu. Select the option: "Forward as Attachment". An email will generate with all your contacts listed individually. Send this email to your personal email to import these contacts to your new preferred email client. 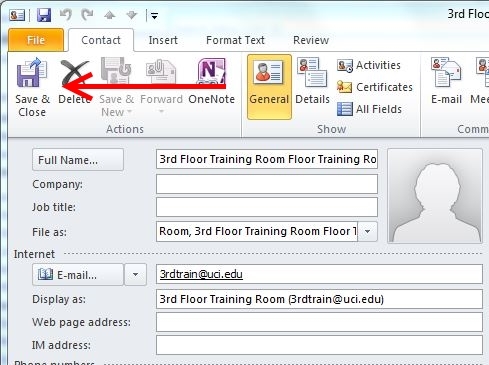 From your new email client, open up the email and save the attachment. 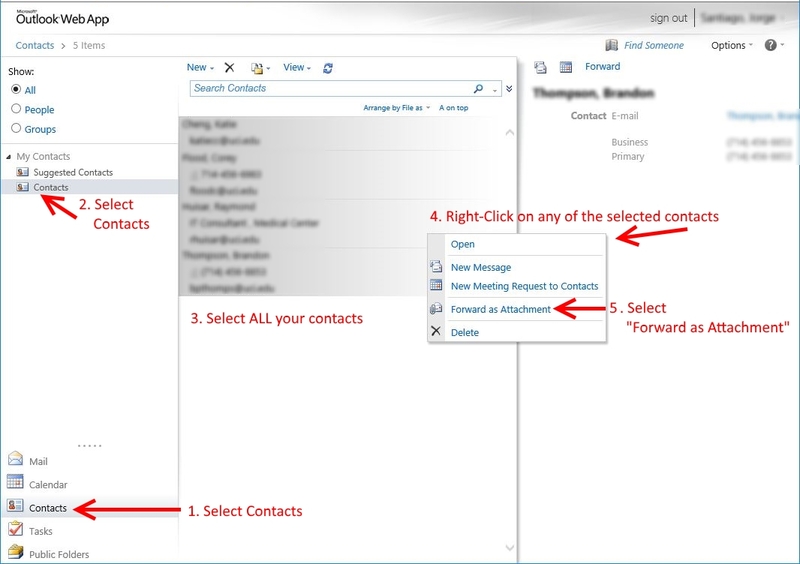 The contacts will be converted from Outlook’s MSG format to vCards (*.vcf) format to be imported into your preferred email client. There are many free and paid options available when selecting a personal email address. We recommend that everyone should take some time to research which email service best suits you. 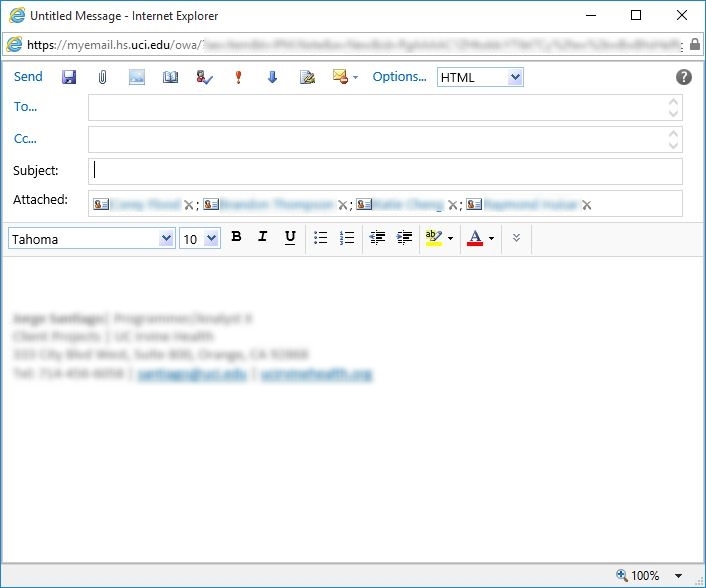 The following email options are provided for convenience and are not endorsed by UCI Health. Visit https://people.live.com/ and click on Begin Import.